Offering a 100% guarantee that your data will be unrecoverable. CPR Tools is the industry leader offering government-grade destruction services for personal and professional customers. The amount of data stored on media storage devices is impossible for us to fathom. A staggering amount of that data is referred to as Personally Identifiable Information or ‘PII’. Storage devices can contain all of our personal information and much more. 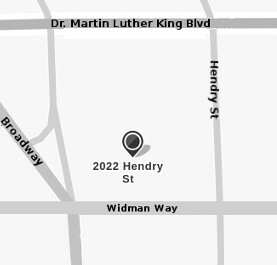 When you are ready to donate, resell, or recycle your computers, laptops, tablets, phones and more call us and let our expertise work for you. 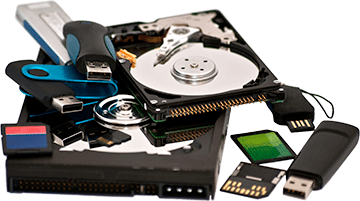 At CPR Tools, Our End-Of-Life Data Destruction services cover all media types including hard drives, flash media, optical media, tapes, cell phones, tablets, SSD’s, and more. Our facilities and staff are capable of accommodating eradication jobs of any size. Our equipment and techniques conform to NIST SP 800-88 specifications and meet or exceed HIPPA, HiTECH, SoX, PCI-DSS, FACTA and others. All services are performed by qualified engineers who are local and have passed comprehensive background investigations. You can rest assured that your data is being protected before and during the eradication process. Whether you are selling your computer on an auction website, giving it to a relative, or donating it to a local church you need to ensure that your privacy is protected. Technology has made retrieving data from storage media easier than ever before. Anyone with internet access can download free tools to retrieve personal data and then exploit it! 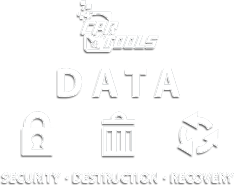 CPR Tools Certified Data Destruction can give you peace of mind that your sensitive data stored will not fall into the wrong hands. As a business you are not just protecting your information but that of your customers as well. We can perform the service at your location or ours and once we destroy the data we will provide you with a certificate of destruction to ensure you meet compliance requirements. Let us introduce the Data Security Management Lifecycle and the different stages of data; origin, rest, motion, use, and end-of-life. Data breaches or data theft can occur at each one of these stages. One very often overlooked stage is the End-of-life, or EOL. Servers, Computers, Portable Hard drives, Cell Phones, Thumb drives, CD/DVD/Blu-Ray, Tapes, Tablets, and on and on… All these devices have the potential to leak protected data from your organization when the are replaced or discarded. Think that old server that died or you virtualized doesn’t have any data on it? Think again. That iPad that fell in the pool has to have no useable data on it correct? Not so. We have recovered data from devices of all sorts and conditions, including media immersed in salt water. The only way to assure that your end-of-life IT Assets are clear of any and all data is to have them professionally eradicated by a company like CPR Tools. Our equipment and techniques conform to NIST SP 800-88 specifications and meet or exceed HIPPA, HiTECH, SoX, GLBA, FACTA and others. All services are performed by qualified engineers who are local and have passed comprehensive background investigations. You can rest assured that your data is being protected before and during the eradication process. Adding ByteStomp™ to your toolbox can not only provide peace of mind but can ensure that you meet all government laws and regulations concerning data sanitization.